team 7 b4 and now. . HD Wallpaper and background images in the uzumaki naruto (shippuuden) club tagged: naruto uzumaki kyuubi shippuden nine-tailed hot springs uzumaki jinchuuriki naruto gifs. 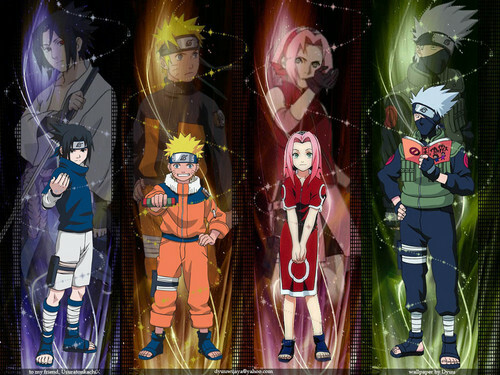 WOW... kakashi is still the same, how come I have never noticed that? !